Branch Committee members are elected every three years and are drawn from around the state. Meetings are held every second month either in Hobart or in Launceston. Members are welcome to attend meetings as observers. Please contact the Branch Director Monique Mackrill by email at monique.mackrill@guild.org.au if you would like to attend the next meeting. The Branch Committee members listed below are your representatives in the Guild. Follow the links to read a bit more about each of them and please feel free to contact them if you have any pharmacy related issues you would like to discuss. Annual Reports & Financial Statements are made available to members through this website and are also available from the branch office on request. National Vice-President (Finance) of the Pharmacy Guild of Australia (PGA). Chair of the Guild’s Corporate Services Committee and a member of the Pharmacy Viability Committee. Director of Guild Group companies, including Guild Insurance, GuildSuper, Guildlink and Gold Cross and Chairman of Meridian Lawyers. Fellow of the Australian Institute of Company Directors and the Australian College of Pharmacy. I had worked for a number of community pharmacies - some good, some the other thing. I felt that owning was the best way to have control over professional aspects of pharmacy (business). Also you are seeing your patients in your shop regularly, which they seem to prefer and is more professionally rewarding. One can make a more meaningful contribution to the patient cohort and ultimately the community this way I feel. I think unfortunately a lot of what The Guild does goes unnoticed by a large group of owners. Advocacy and negotiation is tricky and one cannot provide a running commentary on many items that are in progress, sensitive or other. The health system in Australia is not perfect but it is pretty good; having seen the mediocrity of managed care/private health funds dominating the US system and the inadequately funded National Health Scheme (NHS) in the UK, it seems to me that while there are areas of wastage, duplication, and inadequate capacity in our system, we should focus on improving those. I registered as a pharmacist in 1981 and four months later I became a partner in Mersey Pharmacy, mainly as a means to secure my job as I had just become engaged. Two years later I was a sole trader and in 1986, wanting to broaden my experience, I sold. We packed up the kids and headed for the mainland in the era before the Guild Government agreements. Pharmacy regulation changed the landscape, and being no longer an owner I traveled the east coast as a locum in a variety of country towns. In 1997 I again entered ownership via a partnership. Although our large pharmacy is now sold, that successful partnership still endures after 21 years, retaining one small pharmacy in country North Queensland. Moving the family home in 2000, I bought Mersey Pharmacy back from a university friend. We are now partners in Priceline Ulverstone, and I have a young partner in Priceline Devonport. Although retirement is not too far away, I decided to become a Guild representative to try and give back to our profession that has given me a terrific life, to help more young pharmacists into business as I have been helped, and to assist in the fight to ensure pharmacy's sustainability for the coming generations. Despite being an active Guild member all these years, I wasn't aware of the full extent of the Guild's advocacy efforts until taking on this role. More than ever we need unity behind the Guild's efforts to secure a professional future. 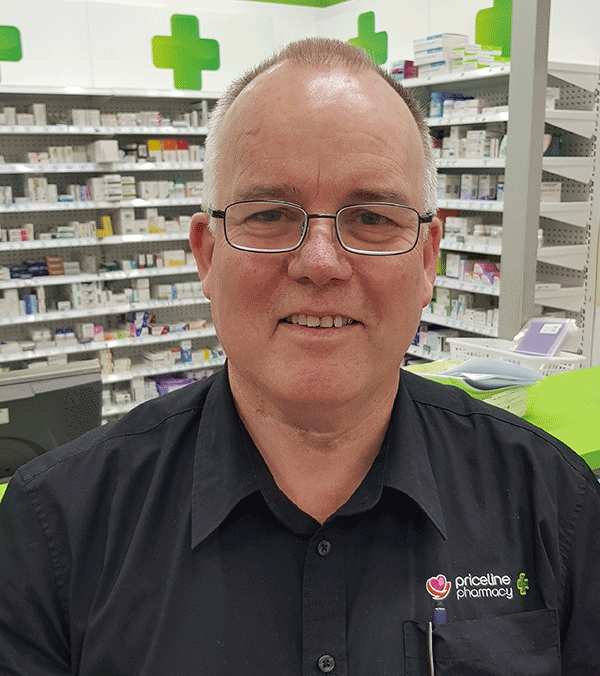 My interest has always been small town pharmacy (Devonport is really a big country town) where the pharmacist is a respected contributor to community life and health – often over several generations – a rewarding relationship. I have been a registered pharmacist for 13 years and have been an owner of a community pharmacy (Risdon Vale Pharmacy) for almost 2 years. I felt it important to become an owner in my pharmacy as I had invested a significant amount of time in the pharmacy as the pharmacist manager, and also wanted the local community to understand that I was invested in their health. I became a Tasmanian Guild Branch Committee Member as I have a strong desire to contribute to the future of community pharmacy and feel that appropriate remuneration for the holistic health care we provide will assist in the sustainability of community pharmacy and improve the health of our communities. I enjoy advocating for our profession and take every opportunity to describe how amazing pharmacists are to everyone, and the importance of community pharmacy in Australia’s health care. I have loved my 20 years as a pharmacy owner and I have enjoyed the ride. For me it is vital to keep engaged and continually find new areas of interest and enjoyment. I am a compounding pharmacist, Pharmacist Immuniser, member of the Naturopaths and Herbalists Association of Australia and I conduct Home Medicine Reviews. I have had many years as a Branch Committee Member of the Pharmacy Guild of Australia, Tasmanian Branch, I was appointed to the Australian Community Pharmacy Authority from 2008 to 2012, and I am now experiencing new territory as a National Councillor. The things I am most passionate about are keeping our pharmacies viable and dynamic while serving our communities. Making pharmacy led professional services financially rewarding and encouraging diversity in pharmacy ownership and on our boards. 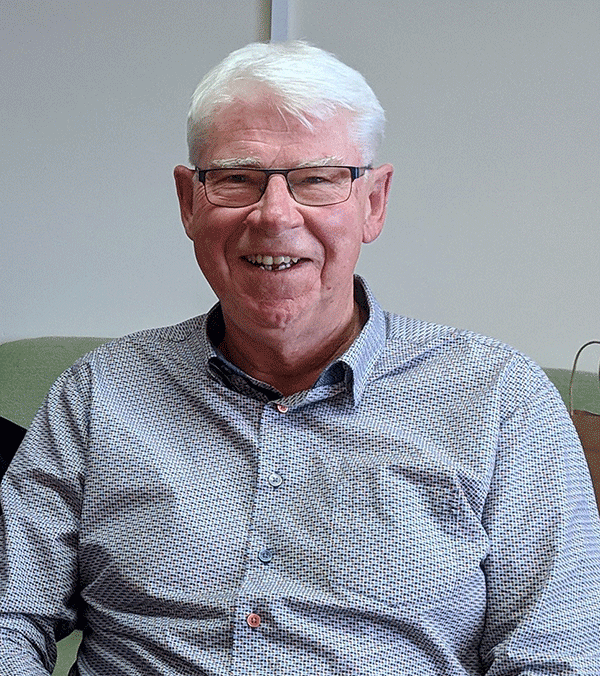 Throughout his 50 year career as a pharmacist and pharmacy owner, Harvey has been an exemplary figure both in a professional capacity and in the wider community. He is a long serving member of the Tasmanian Branch Committee, having held the roles of Vice-President and National Councillor and has been a Life Member since 2008. Harvey bought his first pharmacy in 1972 in Launceston. Since that time he has owned pharmacies around the state in partnership with many other pharmacists. One of Harvey’s greatest contribution to the pharmacy profession in this state continues to be as a strong advocate and mentor for early career pharmacists, students and interns. He is generous in his guidance and encouragement to those looking to become pharmacy owners. He has mentored and inspired many pharmacy interns. Harvey believes strongly that medicines are not ordinary items of commerce and need unique ways to support and sell - the public deserves that special attention to their health and wellbeing.